Are you a solopreneur, running a business on your own? When you are your business, your business is a personal brand business. And when you’re selling you, your website should follow that unique and personal brand to a tee. How? By ensuring these two pivotal pages tell the story of who you are and why you do what you do: your Home page and your About page. Your USP or unique selling proposition: Your USP is a statement that illustrates what makes you unique and what only you can offer to your customers. What superpowers do you possess that makes working with you the best choice for your audience? Your unique story: Think about why you do what you do and the journey you’ve taken to get here. Placing this on your website helps you connect with your audience on a much deeper level. Mission and values: Your mission and values further illustrate why you do what you do and how you help your customers. What values do you hold dear as a business owner? At the end of the day, what does success look like as you serve your audience? Photos: A personal photo of yourself on your website helps your audience put a face to a name. You can’t have a personal brand without identifying the person behind the business. Design elements: Your brand should have set fonts, a color scheme, images and more that fit together to create your brand style. This helps your audience identify your unique brand online. Where do those personal brand elements go? 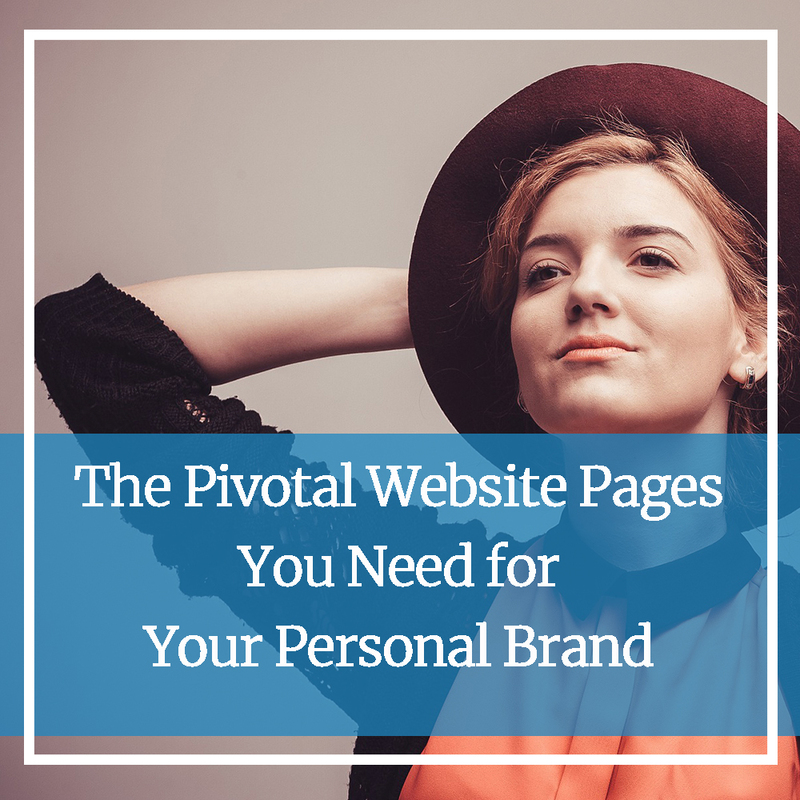 There are two pivotal website pages your website should have to communicate your personal brand: your home page and your about page. Can you help me solve my problem? You can answer these questions by showcasing key elements about you — such as your USP — front and center on the page. Don’t forget to add a CTA or call to action, illustrating your customer’s next step (call us, schedule an appointment, etc.). And remember: each page on your website should be designed using your brand style elements such as font, color scheme, etc. When creating your About page, feel free to include that USP again. Share your mission, values and story to show your reader why you do what you do, adding a human element that is easy to connect with to your brand. A personal brand is critical for your business’ success. It helps your customers get a sense of who you are, building a connection that leads to a relationship. That relationship is invaluable to your business. Are you struggling to write website content that fits your brand? We can help! To learn more about personal branding or writing content, send us a message.